A visit to the dentist can be a daunting experience for many people. Smiles in Currambine is one of the best sedation dentists in Perth, perfect for clients who are feeling a bit apprehensive about a scheduled procedure. Getting put to sleep at the dentist has continuously proven to be an effective way to help nervous patients feel at ease while receiving the dental care they need. We offer a range of sedation options to help make your visit to the dentist as pleasant as possible. Contact us today if you require the services of a professional sedation dentist. We have sedation options to help nervous patients be at ease. Do you feel nervous or anxious about visiting the dentist? We work closely with you to explain each procedure so that you can feel confident about the care that we provide. For those patients requiring something more, we have sedation options to help. If you’re looking for reliable and reputable dentists that will put you to sleep for a procedure, then Smiles in Currambine can help. Our extensive experience and proven expertise make us the preferred choice. For instance, if you are having wisdom teeth extracted, we may recommend IV sedation with an anaesthetist. 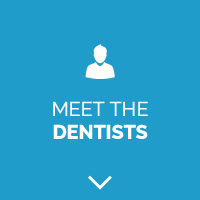 We want your experience with us to be one that changes the way you feel about going to the dentist. If you’ve put your dental needs off due to previous experiences, contact Smiles in Currambine today. We’ll help you get the care that you deserve!